A number of significant social issues facing the Asia Pacific region, and the opportunities for businesses to help address them, will guide discussions between corporate, government and community leaders at the Shared Value Summit Asia Pacific to be held in Sydney on 18 April 2018. Explaining the importance of the discussions, CEO of the Shared Value Project Helen Steel said: “The Shared Value Summit Asia Pacific has become the place where leaders from business, government and community sectors work together to advance shared value practice in the region and explore innovative approaches to solving some of the region’s biggest social issues. The move to an Asia Pacific focus recognises the growing interest from across the region and the opportunity for Australia to take a leadership role in the adoption of shared value. 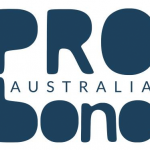 It comes a year after Mark Kramer told Pro Bono News how impressed he was with how the “momentum has been building for shared value and the understanding and awareness” in Australia. Beyond the discussions, the summit will feature the world’s first shared value simulation. Using a digital platform, attendees will have the opportunity to use a shared value lens to tackle issues associated with climate change, while discovering how a shared value strategy is developed. The event, being hosted in collaboration with major sponsoring partner IAG and industry partners NAB and AIA Australia, will put a spotlight on the leadership and investment required to embed shared value within organisations. It’s a timely conversation given the number of leaders from around the world calling on organisations to consider the impact they are having on society and the role they can play in solving significant social issues. The most prominent of these voices has come from the world’s largest investment firm. BlackRock chairman and CEO Larry Fink earlier this year called on CEOs of the world’s largest public companies to not just deliver profits but to fulfil their responsibility to make “a positive contribution to society” or risk losing the support of BlackRock. BlackRock’s Pru Bennett, from Hong Kong, will be among a number of international speakers at the Shared Value Summit Asia Pacific exploring how businesses can make a greater positive contribution to society. A number of Australian leaders, including NAB chairman Dr Ken Henry AC, who will be speaking at the summit, have also brought attention to the need for companies to understand their role in society. Earlier this month, Henry told the annual gathering of Australian Institute of Company Directors that “one of the more important things we in business can do at this time is accept responsibility for the social and environmental outcomes of our activities”. The summit will outline a range of actions companies can take to begin heeding the advice of leaders such as Fink and Henry. Attendees will get a clear picture of how to incorporate shared value into their core business strategy to tackle the region’s most pressing social issues. Other speakers will include leaders from companies including AIA Australia, Enel Green Power, IAG, Lion, Unilever and Yarra Valley Water. They will share examples of how shared value is being embedded within their organisations and explore their greater impact on society. The program will also explore innovation and trust in relation to shared value with Canadian innovator Ilse Treurnicht, the former CEO of MaRS Discovery District joining the discussion along with Edelman’s Australian CEO Steve Spurr. The summit will be followed by an exclusive masterclass, featuring shared value lessons from World Vision and Bendigo and Adelaide Bank, on 19 April.